We want to hear about your experience at JCW Auto Repair Service. We pride ourselves in our auto repair service please let us know how were doing. 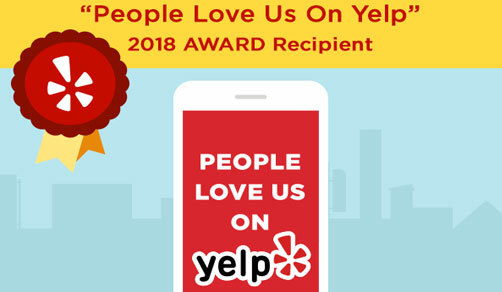 Click on a logo below to leave us a review on your favorite site. When you pay for an auto repair service you expect not only reliable work but great customer service leaving a review help's us improve. This takes just a few minutes and we appreciate you taking the time to do this. Great service and great people. Took my challenger rt there and was very pleased with the check over. They even let me check the car myself to see what was going on with it. Definitely coming back because of the people. Thank you. This place is so honest. Everyone here works for the consumer. 100% recommend this place. Will come here for all my car needs. Not only because they are honest but they will save you money and time and head aches. This shop is a blessing and it is amazing. Don't go anywhere else !! You won't regret it. Laura, the assistant, was great! From the conversation on the phone we had she gave off a positive vibe. As soon as I got to the shop a warm smile greeted me. The oil change on my vehicle was fast and professionally done. Will definitely come here again. This place is amazing! Initially found out through Groupon because a need for oil change, then l called in to ask about the time and price estimate for other services. Quickly, Laura was able to provide me a reasonable price for my windshield replacement. She was very honest, understanding, and knowledgeable about what l need. The technicians was also very nice, honest and experienced. So no more than couple hours, they were able to finish the work, replace and install a new windshield for my car along with a oil and filters changed. The best of all, the technician Leo, was nice enough to give me a ride back and forth to pick up the car so no time wasted. This is the best auto repair shop l've had ever been to. Will definitely go back again. Highly recommend. Laura was very friendly and accommodating. Service was quick! Will definitely be back! Super clean and efficient ! Great customer service, speedy service (over delivered on time estimate) and extremely competitive in pricing, I highly recommend JCW. Prompt & professional service all around at this fine establishment. Judd, the owner, greeted me like I had been a customer for years. Car's oil change was finished at the promised time while I waited in a comfortable waiting room. A very good experience. I will be back. Super awesome guys. Found them on Groupon. Didn't even have to buy the Groupon and they still gave me the price. Stayed open late waiting for me cause I got stuck in traffic. Upfront about all the fees that ARE in the fine print. Didn't try to up sale, fast, honest, and friendly. Great Customer Service. They are honest and kind. My third time getting my oil change with them. Their prices are reasonable. I will be bringing my car for now on. I love this place for my oil changes. Fast, efficient, thorough, and very friendly. I get synthetic oil changes and they check for other items that might need correcting but never push or hard sell. Trustworthy! Service was amazing! I forgot to get the guys name, but he's a little older....he's definitely what makes this place great. He greeted me since I stepped in and was clear about everything. I thought I would be there for an hour or more...nope. Was in and out in less than 30. Thank you! Great customer service. They get the job done quick. Great prices. I literally drive all the way out from LA just to get my oil change done here! Quick, easy, and reasonable prices. Went in for an oil change and was in and out within 15 mins. By far, one of the best places I've been to do my oil change. The shop was easy to find and the process was quick. I called in advance to see if they could service my car (some shops limit the type of cars they take in using a groupon) and I think it was Joe who i spoke with that said yes. We set an appointment and the service went by quickly. He went over another service that I knew I needed to take care of and addressed any concerns I had. Thanks! Got a deal from Groupon for an oil change. Most times I feel like they are trying to take advantage because I'm female. Not here! They did what I paid for and then some. So nice and took time to explain a few of my cars needs without making me feel like they were digging in my pockets. I AM mechanically inclined so I knew they weren't gassing me lol. Nice little waiting area, wifi and charging station for your devices. Coffee..tv...and I was out in 35 mins on an oil & filter change. Will definitely be back. Honest & thorough. Pleasant & was clear on my car needs and options. No hidden fees and o didn't feel like they were trying to dig into my wallet. Will definitely be back! I made an appointment for an oil change with a groupon. Very nice guys there. But the main reason for 5 stars is that my oil change was finished and I was out the door in 28 minutes! Super friendly, professional and efficient. I was in and out in about half an hour and happy with the oil change Groupon I purchased as well as the new wiper installation. I'd be happy to make this my regular spot but sadly I'm not staying in the area for long! Recommended to others! I purchased a groupon for $16 for a conventional oil change and looked up the reviews for this place and decided to give it a try. I was greeted by a gentleman named Camille who was very friendly and welcoming. He reminded me right away that the price does not include tax and oil disposal and is for up to 5 quarts (which is stated in the fine print). I only had to pay an additional $13.99 so it all came out to $29.99. I was satisfied with the service and was out of there in about 30 minutes! So helpful! Quick and very pleasant customer service. Definitely becoming my “auto shop”! Just got my 2nd oil change from here, so happy with the the service and customer service! Owner is such a friendly, welcoming guy and I enjoy going here! Highly recommend!! This will officially be my go to place for my car. Fast and really friendly service. Judd made sure i knew what was going on with my car and made sure i understood everything before he proceeded. The best part is that they are so affordable! They were polite and committed to their promise of completeing the oil change within an hour. Would come back. Back again for 3rd time. Lovely attitude,and attentive. I was made aware of filters I needed,wipers etc...For New Year's gift beautiful blue pen (favorite color). I recommended my son and he was pleased with services here. The only place I take my car to get serviced! Their customer service is AMAZING and they always manage to get me in when I need it! And their online coupons are awesome! Congrats! You just sold your first 1,000th voucher on Groupon! I had the best experience here! Everyone was friendly! The service was quick and easy! Coming back to get my alignment fixed. Nice to know a company cares about their customers experience and time! I came in this morning with a Groupon, checked in and was greeted right away. I was told upfront if there would be any fees and everything was explained to me clearly. They serviced my car right away and waited in the waiting room. If there was anything wrong with your car they took the time to show you and explain it is and why you would need to change it which, was very helpful. I was in and out in about 30 minutes for an oil change and inspection. All in all, I was very happy and will definitely come back for all my auto needs. I was recommended to download their app and was surprised to see some nice coupons. The body shop is very well kept and had no problems. I recommend people to come here if they are looking for an honest upfront inspection of their car. Even though I was in and out very quick they took their time. It also helps to get maintenance every time it's needed. I hardly write reviews but this place deserves one!! Best customer service in the area!!!! Mechanics are very friendly and the man at the front desk is just so sweet and energetic and doesn't force anything!!! I originally came because of a Groupon but this is my 2nd time coming without one just because of the great service and did my oil change in 30 min!! I purchased a Groupon for an oil change at a business in Rancho Cucamonga. After going there I was told my $19 oil change would be $69 so I left. I found this place and called in a panic asking a total girl question to confirm I was in deed being overcharged. The owner was a total delight and he explained the process, his pricing and got me an appointment the next morning. This is a bit further but totally worth it. The price for a synthetic blend oil change is half of what the other place tried to charge, waiting area is nice and cozy. The staff is friendly, I got a free soda and a pen that has a tip to use on your smart phone. The app is really fun as well and there are coupons available and a contest to enter! You can tell the owner loves his job. Oil change was done in 30 min. The promotional price is better then the Groupon, save it for food and give this place the business they deserve. Very welcoming amiable honest service. Excellent customer service fast and very friendly would definitely recommend to friends and family. Very amiable and attentive customer service! From driving in to checking in, the welcoming was easy and I felt extremely welcomed and as if I was family to them. They knew who I was since I had made the appointment and were very considerate even though I was slightly late. First time here for a synthetic oil change with a Groupon (I'm usually skeptical about how I'm treated when using a Groupon as I've had not so great previous experiences) and they were honest and sincere since I brought in a 2017 and he advised me most leases cover oil changes and I can tell they were about building that long term returning customer rapport. They took the time to show me the oil type and factory recommendations. They even did an inspection and found a screw or nail in one of my tires and they pointed it out and gave me the option to remove it. As I was in the comfortable waiting room, Camille personally brought me a cold canned soda and asked to ensure I was doing ok. I was in an out in under 45 minutes. I would highly recommend this automotive repair shop and would definitely return. I called before hand to see if they accepted walk ins! Camille was so nice and friendly! I went in for an oil change, the wait was very short! He was very informative, about my car how i could inprove/fix my car. Free soda! Called and said I needed an oil change quick because I had work ( totally my fault waiting last minute ) and he told me I could come in right then! when I got there the owner was so incredibly nice!! Got me out of there in 15-20 minutes!!! Great price for the oil I was getting. Would recommend to friends/family. Seems like a genuine guy. Got an oil change done here with a Groupon voucher for $35 for 5 quartz of synthetic oil. Made an appointment and was serviced quickly and timely. Camille was the owner of the shop and was super friendly and nice. Explained everything very thoroughly and I am extremely happy w the service. Would def recommend this shop. Excellent customer service. Thank you Camille and JCW staff for taking care of my car. Wonderful Wonderful Wonderful Wonderful Wonderful Wonderful.... Pleasant over the phone and in person!! Super fast too.. Been coming here for an oil change over a year!! First time coming to this place and I'm glad I did. Very pleased with the service, I'm definitely coming back again next time my car needs servicing. Such a great experience. Felt very comfortable there. No hard sales to make me feel obligated to purchase anything else. Just great service and great advice. Oh yah, a nice cold Coke while I waited. Will definitely go back. Thanks! Found my new car shop!!! Great people, great customer service, great prices, great work!! Highly recommended. A+ customer service. I was late for an hour on my appointment yet still very considerate, took me in and took care of my car despite their busy schedule. Recommending to all. Thank you! Great service ! Camille was amazing! Customer service was delightful. Will definitely be back! Thank you Camille. This place is amazing the customer service is absolutely great. I really like the setting of this place. A comfortable vibe and the service is amazing. They even have an easy to use app called JCW auto Repair Service. Camille was a great help and he has me feeling very satisfied with the quick and great service. 5 stars definitely!! Camille was extremely helpful! I know nothing about cars, but he made me feel comfortable and he was very knowledgeable. Would recommend this place to anyone! By far one of the best automotive shops I've been to. Camille has the best hospitality. Very affordable and quick service. Great experience! Friendly and professional service. In and out in less then the expected wait time. Have not received customer service this good in quite a while. Price was excellent because I used a Groupon. I will definitely return at full price or coupon rate directly through this business. Refreshing experience! Great customer service. Great price for a full synthetic oil change. They even have an app to make appointments. I am new to your auto repair shop. I am entering this contest while in your waiting room, getting my first oil change done. Thank you again for your quality service and great customer service. I just left this auto shop and I was so impressed. The prices are so affordable. I got my oil changed, wipers changed, and filters changed. The owner of the shop was so kind and genuine. I will definitely keep coming to this shop to get my oil changed and will be skipping the dealership oil changes. It's a little hidden gem!!! Have gone to this shop a few times for my VW bug. They have done good job. As is usual with anything related to the Bug, the repair prices are steep - tho honestly so have been quotes from other shops in the area for similar work. One of the reasons I hate the Bug. On the plus side they stand by their work and ads, unlike many shops. Have found shop personnel to be professional and helpful. Fortunately they solved the Bugs problems so last few times have only been for oil changes which were done promptly and at advertised prices (get on their mailing list for good deals!). My only complaint is the dangerous entry on busy street - Azusa. Would be nice if could enter from back alley, but that is problematic at moment with cramped space and other businesses. Friendly customer service. Camille welcomes you with an open heart when you step inside the store. If anyone is trying to get service I highly recommend going here. The manager was chipper and friendly. While waiting there was plenty of USB outlets to charge our devices. The manager stopped in the waiting room to offer everyone in the room a cold Coca-Cola (complimentary). Parking is kind of tricky being that it's off the busy street, Irwindale Ave. But wherever you park, one of their crew will get your car, pull it in, and then re-park it for you afterwards. We were told the oil change would take an hour but it was done quicker than that. After it was done I was expecting to have him shown me all the things wrong with my car and then try to compel me to get these things fixed, but that's not what happened. He let me know the few things that could be repaired but didn't push anything further than typing it on my receipt. I used a Groupon that was $17, and with a additional $13 for disposal fee & tax it still turned out to be a very cheap oil change for my truck. PS, they provide up to 5 quarts with the Groupon but if your vehicle is like mine you can bring in your own extra and they'll be happy to put in for you and charge you the lower cost of not having to provide you with additional oil, especially if you can find it cheaper. Very friendly, not pushy, good price. All-around a good experience. I will come back for another oil change. The customer service at this place is the best I have ever had. In addition to that, the waiting area is clean and cozy and kid friendly. There is coffee and other refreshments. I was given a chocolate bar and soda. There is a charging station as well. The oil change takes no more than an hour. Overall great experience. I will definitely be returning. I had a great experience at JCW. The owner was very helpful and genuinely wants to help his customers. I will recommend them to everyone I know. Great place to take your oil change, quality service. Friendly staff and great customer service! Excellent customer service from Camille and an overall awesome experience. Very accommodating and fair prices! Came here for an oil change, tire rotation, and they were all very nice and honest. I will be bringing all my cars here when I need service. Great prices also. I had a great experience with the service provided and awesome costumer service from Camille. He is friendly and kind. Service is fare and reliable. highly recommend this place for oil change. Two cars brought in at different times and both times positive. They found issues the car had without me telling them. So they do great inspections of your cars. This place is always great!!! The person up at the front is always sooo helpful and the owner himself is a very nice guy. Def a good place to go. Always my go to! Loved it! Fast and great service! Good service. Helpful. Would come back. I had such a great experience. My car wouldn't start and they came to my apartment right away and got it started. Followed me back to their shop where they fixed my car in less then a hour. Great customer service! Will definitely come back and refer people. Service was great ! Would recommend this place also 24 hours. Camille was great! Let me know everything else that I should worry about. Excellent customer treatment and very honest service. I recommend it! Great customer service and quick! Great costumer service! Great work! Camille is always very friendly and in good communication from beginning to end regarding the process of fixing your car. This was the best experience I had ever had with auto repair shops. I definitely recommend it. JCW will charge you an additional $13 for tax and removal after the price of the Groupon which is not bad because you get a really good deal. Judd was very accommodating. I had to leave my car there all day because of work and they were able to squeeze me in even though they were very busy that day.They offered me a ride to work but my boss picked me up on the way. I got my air conditioning filter and an engine air filter changed as well since I had not done so in a long time. Overall a great experience and I would recommend this place to others. Reliable, friendly and fast! Won't be disappointed with the service if the waiting time is too long for you they will provide you with a ride to your house and pick you up once it's done! I discovered this business on Groupon and purchased a full synthetic oil change. It was a great deal and I was treated kindly by the men who helped me out. I also had a nail in my tire but it was an inexpensive and quick repair. I was in and out in less than an hour. I recommend this shop and I will likely be back for another oil change. Came here because I bought a Groupon for an oil change. Read some reviews on other platforms that weren't positive, but I gave it a shot anyway. Glad I did. I called to see about making an appointment and got one for the next day. I was out in about 45 minutes. Judd made some honest and helpful observations/recommendations, but wasn't trying to push anything on me. In the end, you do have to pay a small fee for disposal and what not, but I expected that. Still cheaper than my regular oil changes at the dealer. Good, polite service. I would come back. Awesome service and very quick. Thanks you guys. Got an oil change pretty fast. Friendly people. Fast, friendly and honest service. WoW!!! I was very impressed at the level of service and overall friendliness that I received at my first visit to this shop! I brought my car in for an oil change and tire rotation. While I waited I was informed that my rear brakes would need to be adjusted if not now then sooner rather then later and that my car was leaking oil (much to my dismay as the previous shop failed to mention this). Steve (noticing my look of confusion) explained in great detail what all this meant for my car.. If i didnt get the leak repaired now it could very well ruin my engine and cost me more in repairs in the long run. Thanks Steve and Custom World Auto for taking such great care of me and my car! I'll definitely be bringing my car back for future repairs! Awesome ,very fast service.everyone in in the place behaves really politely and in a helpful way. They gave me a ride back to my work because I was in a hurry which was really nice from them ..Then they pick me up too..I really recommend that place to anyone.They made it really easy for me to do my car oil change. Thank you so much everyone in JCW. JCW has helped me out on a couple of occasions and I think their work is beyond noteworthy. I own a (relatively) recent year Mustang and go on frequent road trips. As anyone else who drives long distances at intervals may know, anything and everything can happen with very little prediction on these voyages... or before them. A couple of months ago I was all set to head to Joshua Tree (having only recently returned from San Francisco), and went out to get some coffee first-- my hood started steaming. Not good. I postponed my trip and took my car in to JCW the following morning-- they quickly evaluated that it was a cracked gasket, and had it fixed in the same day. Fast forward to another trip I was planning, and this time I couldn't be taken unaware in the middle of nowhere. I brought my car into JCW with a simple if odd request: Have a thorough look around and fix *anything* that may hamper my travel. They did a thorough inspection, changed my oil, did a complete tune-up and repaired an issue with my radiator. They gave me the confidence to go on my trip, and even let me know about projected repairs that I should address in the near future. This aspect is important-- they didn't just tinker for extra money. They did exactly what I asked-- repaired only what was necessary. I would recommend JCW to *anybody* who wants trustworthy, excellent maintenance at a reasonable price. This place always greets me with a friendly smile. They don't beat around the bush, tell it like it is kind of place. Look out for great deals too. This is my go to place for auto servicing. Thank you JCW Auto Repair Service! My oil change was super quick -it was done under 45 minutes. Everyone was very helpful and friendly. The receptionist, Camille, was a lot of help. He accommodated me and honored my Groupon voucher. It was great doing business with you. Until next time! Honest service, with explanations of potential problems in the future. Friendly. Clean waiting area with coffee, water and flat screen tv. Professional service. Friendly staff. Very reasonable prices and honest work. Nice goodies in the waiting room. Water, coffee, tea, fruits, instant noodles, TV, USB charging ports, etc. This is an amazing place. Come on by and say hello. Johnnie always has a smile and ready to help you get what you need done. The techs will help you physically see what's going on and answer all of your questions about your car. And the owner Judd Wenzel is just the best person you'll ever meet; he cares for every person that walk through his door and does whatever he can to make sure that you 100% satisfied and become a loyal customer and friend for life. Plus I will be there Let me show you first hand of what I'm talking about see you soon. Great service and good costumer service as well. I got a groupon for an oil change and when calling to see if I had to make an appointment the gentleman who helped me today was delightful and very helpful. They treated me just as any other costumer despite using a groupon. Would really recons this place! Friendly! Great oil change specials on website. I never feel overly pressured to immediately do any of the repairs that they let me know might need to be done on my car. If I was the type who got more work done in shops I would definitely choose this place. Great service! Man at the front desk is very friendly and goes above and beyond to ensure your comfortable while you wait. Well I think everyone needs a decent place to have their car serviced, and by far this is the best place I could find, JCW team were so helpful to accommodate my visit, Mr.Camille was so professional and helpful during my visit, I went for an oil change and they did a complete check for my car, and in no time my car was ready to cruise again, so happy dealing with them. I brought my kia rio in last week for an oil change. I made and appointment and i arrived 20 minutes early. They took my car in right away and they quoted me a time they would be done at. Their waiting area is very nice and cozy. They finished my car before the estimated time. I was very impressed! I will be coming back. My life has just been affected in such a positive way. I've never met anyone like Camille, here at JCW. He doesn't just change oil or repair vehicles, he speaks into people's lives. He found my human condition and improved it within an hour of meeting him. And he made me feel like his most VIP customer and valued member of a community he has cultivated. And to think I showed up without an appointment and he still accommodated me with a smile!!! To top it off further, who could beat his price?!?!?! I speak with honesty and certainty! I will only return to him. Thank you Camille at JCW. And thanks Josh for the recommendation. The people here are very friendly and accommodating. They got me in quick for an oil change even though I didn't have an appointment. The service was quick and before my estimated time. I will definitely be back. Very friendly staff and excellent customer service! I was in and out within 45min and wasn't hasseled to buy a bunch of extra stuff I didn't need. I will definitely go back for my next oil change!! Another extra perk, my daughter and I got to see the eclipse this morning. Thanks to the very nice lady in the office!! We've been coming to JCW for about 3 years now. We live about 30 minutes from JCW but decided to drive the extra miles for great service. Our car requires synthetic oil changes and JCW offers a Groupon that can't be beat anywhere in the SGV. They are consistent, efficient, provide great customer service and do a great job overall. We have also had our brakes done with them and they gave us a great price and did a great job. We highly recommend JCW for your car's needs. I have a mercedes ml 550 awd, i bring my car in for regular maintenance and major repair, they have excellent service, professional respectful staff all the time. Delivers your car to you with great care and in superb condition. I highly recommend this auto shop, that i can trust with my precious vehicle. Since I live near the area and work in downtown during normal body shop hours, I was extremely glad to find the accommodating acumen of this business! I called the owner (Judd, I assume from these previous reviews) and he informed me that I could drop off my car at 6:30AM and MacGyver my keys, information, and such in various ways. However, the morning of the apt, I checked my Groupon voucher and it said the purchase had failed. I didn't realize that before. So I called the owner early morning, and he said he would honor the price. In addition, to what seemed like at least 10 times before opening hours, I called him about having a hard time finding the shop, parking, finding the right door, locking my phone in my car, etc. Blegh, stress. But all in all, with some questionable cellular disconnections, he was still pretty patient with me (just don't test the waters too much!). It hadn't been an hour past their opening time, that I was called and notified that my car was all done. I paid over phone a couple with my cc number; since I couldn't get back to the shop in time before closing, Judd offered to drop off my car at my house. Super sweet and convenient, I couldn't give anything other than a 5 star rating for that alone (although I was a little frustrated in the morning). I believe the Groupon price for a full synthetic oil change, tire rotation and one point inspection was 43$, plus extra fees I was charged total was $49.12. Even though I know nothing about cars or how to check if anything was actually done, I found my car parked safely in front of my house! Hopefully everything described was done the way it was supposed to ;) Thanks JCW Auto! Warning-- the shop is on a big busy street! If you're an anxious driver, look up a street map beforehand. I am here today redeeming a Groupon coupon for a full synthetic oil change dor $43. As another reviewer also reported JCW will charge you an additional $13 for tax and removal after the price of the Groupon. Im always curious to see how im treated when redeeming a Groupon bc some businesses treat these discount customers like second-class citizens. Im here in the waiting room and was told that it would be a one hour turn-around, which is fine. I do have an appointment which Groupon requires. The waiting room has tv, coffee, tea, instant noodle soup, coloring books for kids, a charging station for phones, hand sanitizer, and even pop tarts. It smells good and is clean. Actually, the whole shop is clean, even the work areas, and the staff is very nice. After: The oil change was done 10 min sooner than I was told - sweet! My overall experience was great and I will return. Groupon customers, you need not fear, you will be treated well.